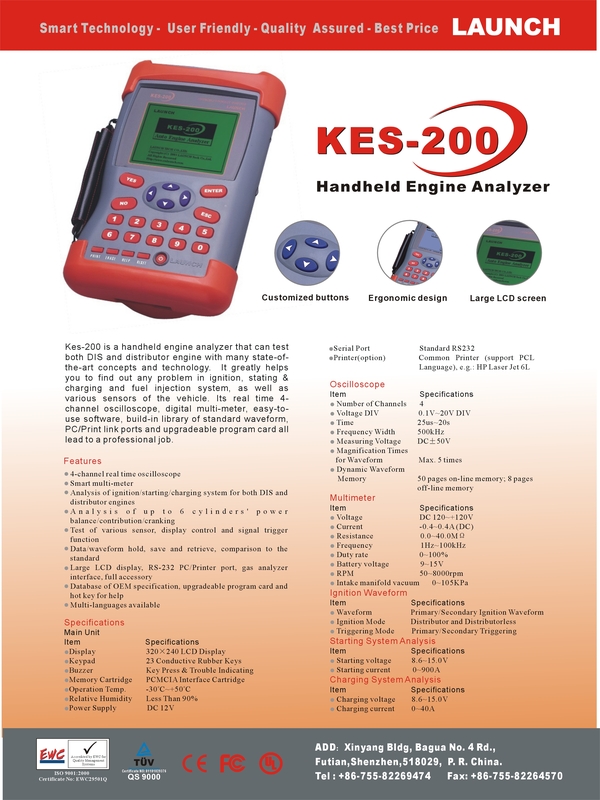 KES-200 is a handheld engine analyzer that can test both DIS and distributor engine with many state-of-the-art concepts and technology. It greatly help you to find out any problem in ignition, stating &charging and fuel injection system, as well as various sensors of the vehicle. Therefore make you an expert in garage immediately. Its real time 4-channel oscilloscope, digital multi-meter, easy to use software, build-in library of standard waveform, PC/Print link ports and upgradeable program card all result you with a professional job.